So I came home from school early today, and it was lunch time plus I’d woken up at 6 to write some super scary biology essay about antibiotic resistant bacteria (Jeez you guys, superbugs are cray. Promise me you won’t misuse or overuse antibiotics, ‘kay?) so I was insanely hungry. Now usually, for lunch I go for something with eggs because I want some protein to hold me over for the next few hours, but today I really wasn’t feeling it. That’s when I spied some mini tortillas in the fridge. I was initially going to make some kind of flat bread type thing. Like chop up some basil and tomatoes and throw it on there with cheese, then shove it under the grill. Then I realised if I just put some bell pepper in there, it would start getting Mexicany, and a memory of quesadillas (from like 2 years ago, literally.) popped into my head and I decided to go with it. I’d never made a quesadilla before this. and only ever had them a handful of times, but I just remember them being TOTALLY ACE and that was enough to make me want one right then + there. I just went with the flow of things, using the basic flavour profile that I imagine they had: tomatoes, bell pepper, Mexican spices, onion and some lime juice (I was considering adding apple cider vinegar, but spied the half lime on the counter and thought it was more appropriate). You know how Whole Foods is like a food sample Mecca? 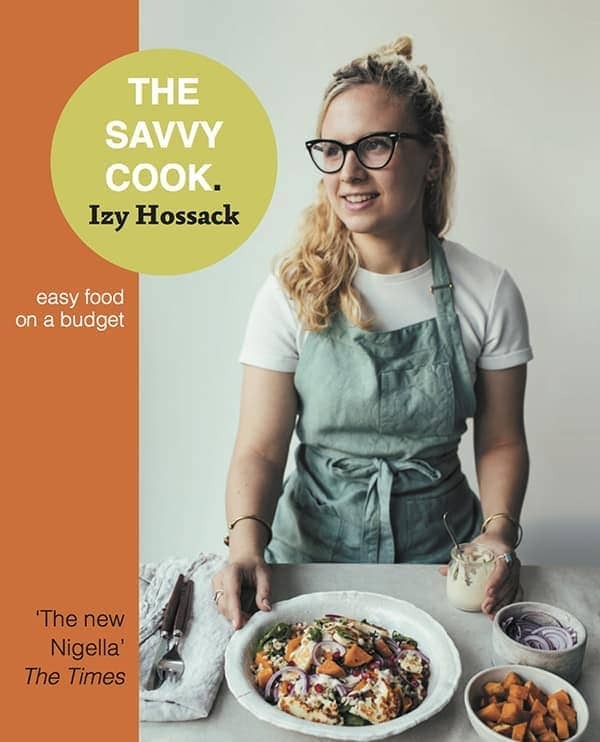 Yeah, well one time, they had this pineapple salsa sample that was utterly fab (great story Izy..great story..). we did have fresh apricots! The acidity/sweetness of which I think of as kind of similar to pineapple. SO IN IT WENT. and thus, I made a quesadilla. So this is why, when you read this recipe, it’s probably not anywhere like a traditional quesadilla (I mean, I’ve googled them now, and… I cooked the salsa.. :/ soo… ). and I’m sorry if that harms your quesadilla loving hearts (seriously, the instagram of this was basically as popular as my chocolate chip cookie one, so I now think of everyone as quesadilla lovers) but I literally don’t care because it was so good that I think all quesadillas from now on should contain fruity, cooked salsa. – Instead of using an apricot, try out other fruits like 1/2 a peach, 1/4 cup diced strawberries or 1/4 cup diced pineapple, orrrr you can leave the fruit out. 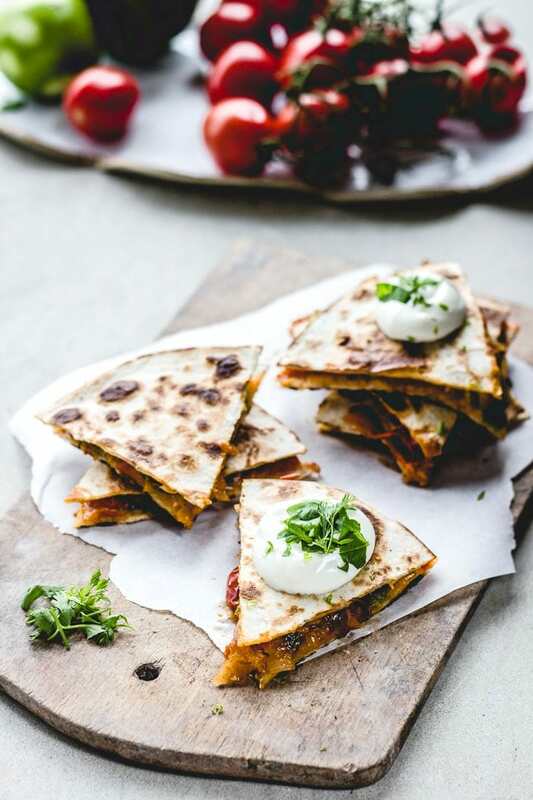 – Okay, I’ve made the name plural ‘Quesadillas’ but this makes one quesadilla, but it’s pretty simple to just double the recipe and make multiples if you want. If you're going to use this skillet to heat the tortilla, then remove the vegetable mixture to a plate and set aside, then clean and dry the skillet. Or, if you're just going to use a different skillet, just set the veg mixture aside. I LOVE your running commentary to this creation Izy, you’re so funny and down to earth, unlike other bloggers all up there on their high horses. Hehe thanks Erika! My camera kind of struggles with orange, so it was a bit of a challenge to shoot! High five girl, thanks for the pun appreciation! 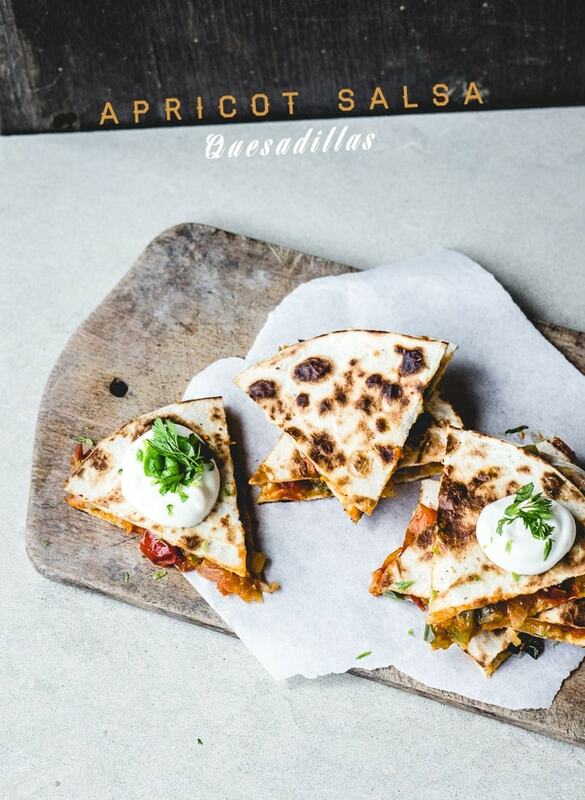 Be still my quesadilla-loving heart, this looks delicious. 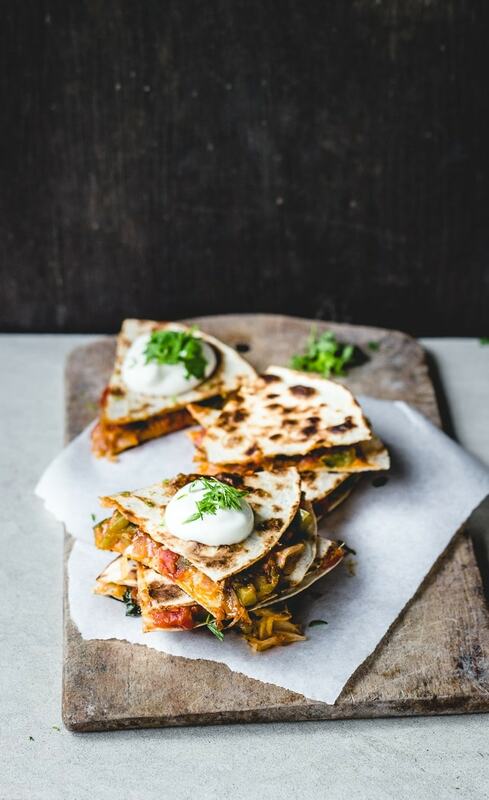 Those quesadillas are seriously calling my name! I want all of this! What a scrumptious recipe! I can’t get over this combination of apricots and tomatoes – they are so complimentary. Genius. Wooh! Thanks Sarah 🙂 they do go really well! Aww thank you Rossi! 🙂 haha, well I hope so, because I like the sound of that! yum yum yum…this has just made me so hungry! You are fantastic! I’ve been reading your blog for a while but I’ve never said “hi.” Well, until now… HI! inspirational* although, I guess “inspiration blogger” works in a cheesy way. 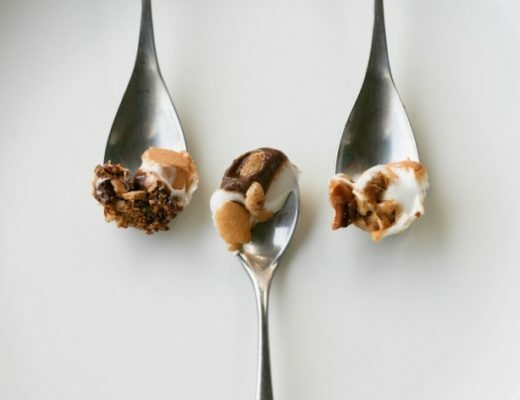 Your food styling is amazing! Keep up the great work, love ur blog! Aww thanks so much April! Amazing! They look so good — just waiting on some good apricots here in the UK! Yeah, I like these a lot. I never think about making quesadillas but I really need to because there’s not a lot of things that aren’t improved by being smushed in a tortilla with some cheese and fried. Apricot sounds amazing. Well, you definitely nailed the styling. Great colors + contrast and creativity with that salsa. YAH, girl! OMG. Izy, these look INCREDIBLE! I have been on a Mexican food kick lately and cannot stop drooling over these. I have a special fondness for fruits and cheese, combining them in a toasty tortilla with spices and peppers sounds like my ultimate Mexican dish. Going to make these asap! Hoping I can still find some apricots at the store but if not I’m gonna try them with peaches. YUM. Wow, they look amazing! Definitely one of the most mouth-watering savory recipes I’ve seen on any of my favorite food blogs for a while:) I also just can’t get over how amazing your photography is………. 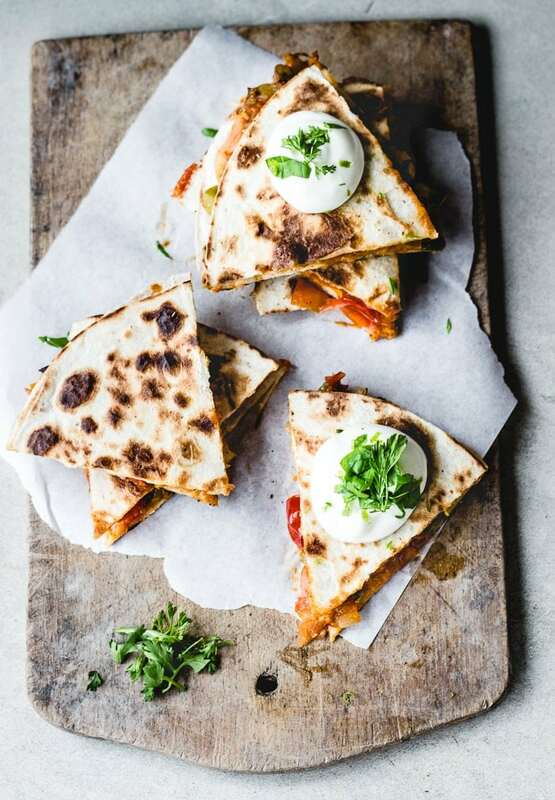 Quesadillas are so great for quick easy dinners. Thanks for this super recipe! I made quesadilla before but yours look definitely more tasty. 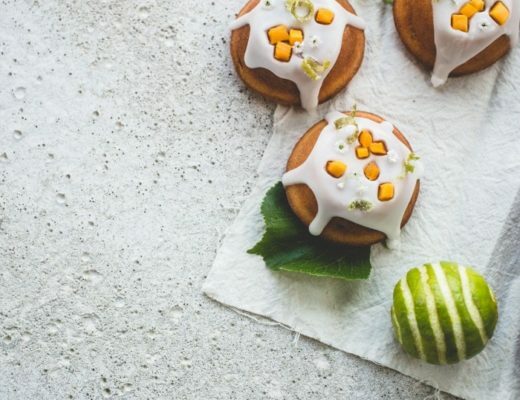 These look amazing, super delicious and as usual brilliant photographs. 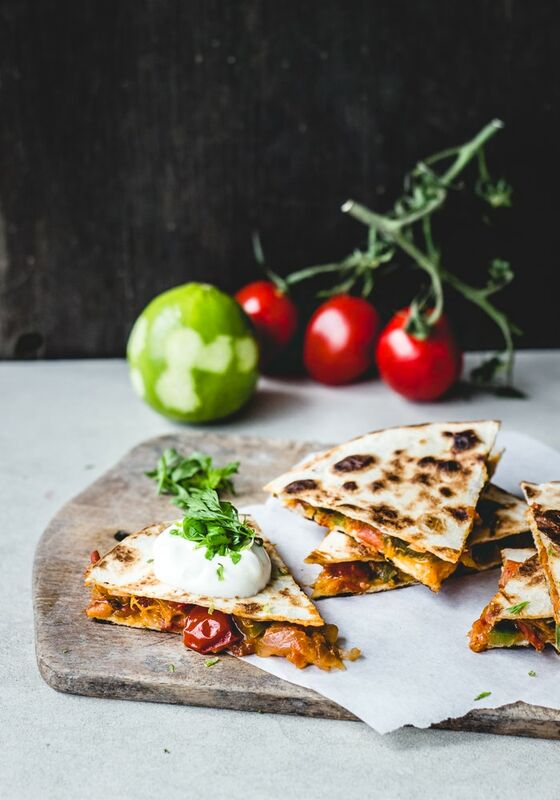 quesadillas are one of my most favourite meals – they’re just so versatile and allow you to be creative! you’ve done a brilliant job here. they look exquisite. Pretty much anything sandwiched between two crispy tortillas that are held together by delicious cheesiness is a quesadilla in my book! 😉 These sound waaay more viably Mexican than what I will make on occasion (which usually involves some mushrooms that are nearing the too-old point, frozen corn, and a whole lotta cheese, all topped with an ungodly amount of Greek yogurt and cilantro). And I LOVE the idea of a fruit salsa. They are perfect with herbs and spicy pepper heat. Yes yes yes. These quesadillas look so good! I like how you just went with it, throwing an apricot in because that was what you had lying around. Whenever I make quesadillas at home, they’re super boring. I just throw a handful of shredded cheese on a tortilla and fry it for a few minutes. It’s never very satisfying, as I’m sure you can imagine. I would much rather have this. This looks like a delicious alternative to eggs for lunch. These look amazing! I am going to try them tonight for dinner!! Thanks for sharing! Hello! These look delicious. I’ve recently completed writing a book called A Thousand and One Happy Thoughts to Inspire the Soul, and I was wondering if you’d allow to include one of these photographs in the Foods chapter of my book. I recently got an agent who asked me to inlcude photos throughout my word document, and I absolutely love these! Please let me know!